A delightful series about friendship, music, and a magic flying umbrella. Yes! Harper and the Night Forest is the third book in the Harper series continues to spin tales of whimsy and wonder for Harper and her friends. Harper lives in the City of Clouds, an enchanting place where it rains every day and an umbrella is always a good idea. With her Aunt Sassy, her beloved cat, Midnight, and all of her neighbors in the Tall Apartment Block, every day is full of possibilities. 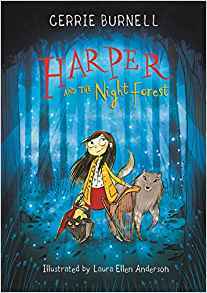 When Harper and her forest set off to find a mythical bird, their journey takes them to the mysterious Night Forest, where fairy tales are more than they seem. . . . Harper is on a mission! Rumor tells of the mysterious Ice Raven who lives among the ebony trees, singing a magical song that can melt even the hardest of hearts. Now the Wild Conductor wants to capture this mythical bird and create the greatest orchestra ever known. So Harper and her friends set off to find the mythical bird. Their journey takes them from the mysterious Night Forest where fairy tales are more than they seem to the City of Singing Clocks. But soon Harper realizes she faces a terrible dilemma. Should a wild, free creature like the Ice Raven ever be tied down? About Sky Pony Press: Sky Pony Press, with Good Books, Racehorse and Arcade imprints, is proud to publish a broad range of books for young readers—picture books for small children, chapter books, books for middle grade readers, and novels for young adults. Their list includes bestsellers for children who love to play Minecraft; stories told with LEGO bricks; books that teach lessons about tolerance, patience, and the environment, and much more. While not every title they publish becomes a New York Times bestseller or a national bestseller, they are committed to books on subjects that are sometimes overlooked and to authors whose work might not otherwise find a home. About the Author: Claire “Cerrie” Burnell (born 30 August 1979) in Petts Wood, London, is an English actress, singer, playwright, Children’s author and television presenter for the BBC children’s channel CBeebies. 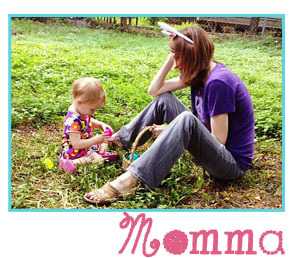 Her mother is a dance teacher, and her father a telecoms manager. She has one younger brother. She was originally named “Claire” but started asking people to call her “Cerrie” at the age of ten. Burnell was born with her right arm ending slightly below the elbow. Her parents encouraged her to wear a prosthetic arm, but she resisted from the start, and stopped wearing one entirely when she was nine. She says her disability did not hinder her from doing what she wanted, including “sports, swimming, windsurfing, singing in the choir or joining the Army cadets. Burnell also suffers from dyslexia, which left her unable to read until the age of ten. She learned with extra tutoring and the Letterland system. As a teenager, she worked as a hotel chambermaid during summers, and travelled widely, working in a leprosy clinic in India, and volunteering in Brazil. Burnell has a daughter, Amelie, born in 2008.